Cities Connection Project | CATTANEO HOUSE. CASTEL SAN PIETRO. CATTANEO HOUSE. CASTEL SAN PIETRO. The Cattaneo house, situated in a quiet residential area on the hill of Castel San Pietro, is a single fluid and me- tallic volume. 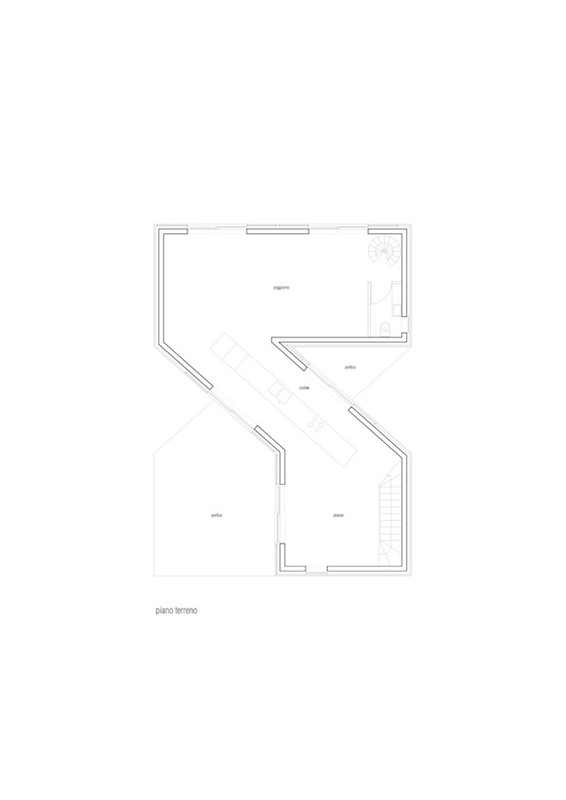 Apparently similar to a sculpture exposed in its garden, the project relates with the context and expresses the same language as the three neighbouring houses, designed by the architecture studio. The geom- etry of the plan introduces the theme of the diagonal that directs your view at ground floor towards the panorama, and at first floor towards the hill. The continuity and movement of the object give a signifi- cant imprint to the building, imagined since early stages as a flux without end. Interior spaces are white: floor, walls and ceiling create an emotionally reassuring fluidity. The present paths and vistas are obstacle free obtaining a continuous relation- ship between inside and outside. The only stopping points are the two terraces from which it is possible to enjoy the views of the hill and the panorama. The ventilated facade is designed as a modular and continuous tape custom designed for this project and is composed of an external perforated dark blue metal sheet, as a square grid, and an internal anodized aluminium sheet with a decorative motif. In order to create various light effects, some windows are completely open, and others are hidden behind the per- forated metal sheet creating a diaphragm between inside and outside. 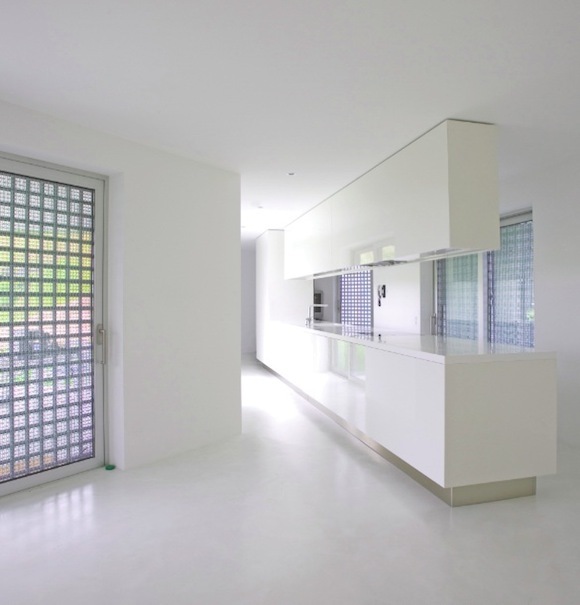 The versatility of the system includes also some sliding shutters that disappear into the cavity of the facade. This juxtaposition creates unexpected optical ef- fects, playing with the sun and movement. The metal sheet facade is a double filter that creates par- ticular light effects, as well as transparencies and reflec- tions that make the house vibrate in its context.